Corporations and their leaders increasingly take stands on social issues. Diversity is the most common, but the range of topics is increasing. 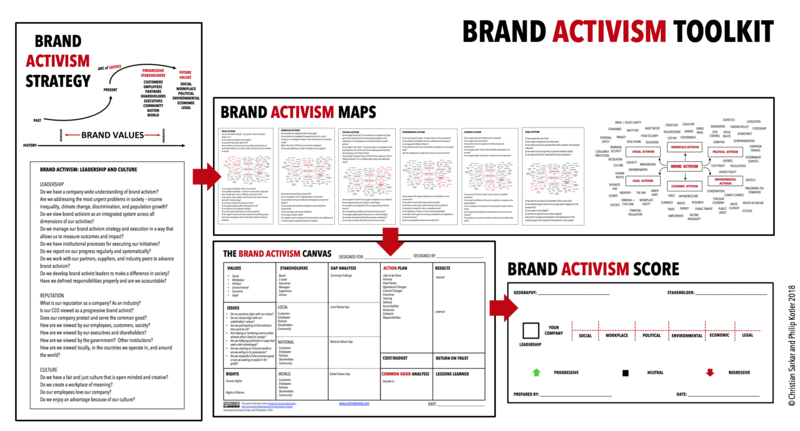 We use a strategic planning tool called the Brand Activism Toolkit to structure our thinking and deliver powerful new ways to facilitate new and more meaningful customer engagement with your brands. For more details, read a discussion on MarketingJournal.org by Christian Sarkar and Philip Kotler about brand activism. The chart below summarizes our approach, which moves from strategy through to measurement.